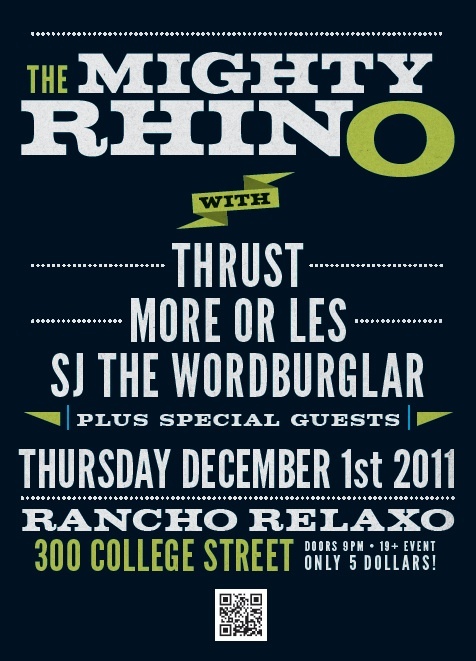 Hand'Solo Records » Blog Archive » $5 Rap Show: The Mighty Rhino album release party! 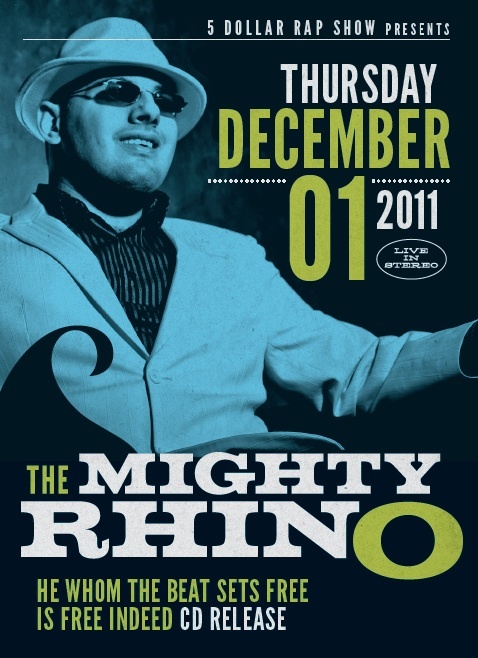 Home Bass > $5 Rap Show: The Mighty Rhino album release party! The next $5 Rap Show is fast approaching, and this time around we have The Mighty Rhino with his CD release party, as well as T-Dot legend Thrust and 5DRS resident emcees Wordburglar and More Or Les. Should be an awesome night, and STILL ONLY 5 BUCKS!! !